What is better than eating chocolate? Eating chocolate that you have crafted with your own fair hands. I'll be honest with you. I love chocolate be it dark, milk, with or without nuts, flavoured or plain. I have, on occasion, been known to eat white chocolate when there was no other on hand. I have indulged in hand-crafted chocolate, but have never had the pleasure to craft my own. There is always a first time for everything. 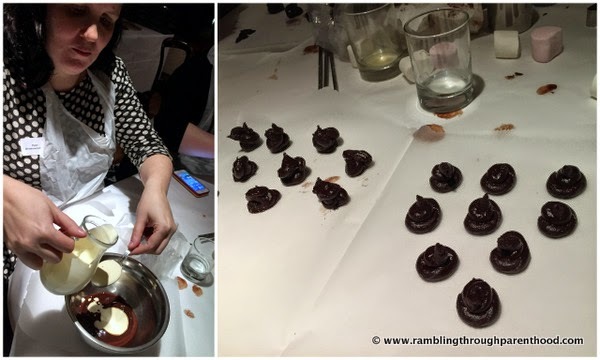 So when I was invited to attend a chocolate crafting event at The Copthorne Hotel in Manchester, I was not about to let my healthy-living conscience get in the way of what turned out to be a wonderfully gratifying experience. As I pulled up in the parking lot of The Copthorne, I could not help but notice the brilliant location overlooking the Salford Quays. This initial opinion was replaced by admiration as I made my way through the lobby to the orangery-like room readied for the event. The view out onto the water was simply breathtaking. The soft golden rays of the setting sun and the heady aroma of melting chocolate added to the sense of calm brought on by the glass of bubbly in my hand. 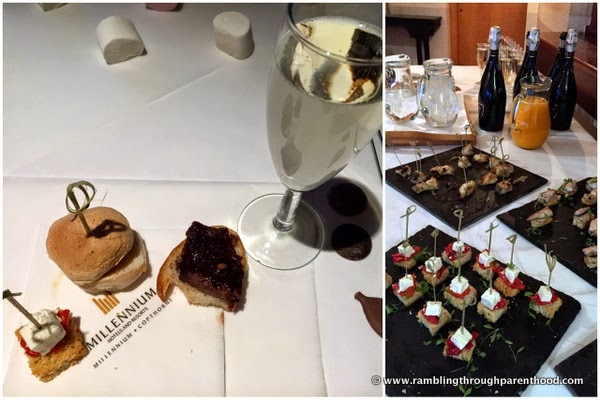 We socialised over canapes and drinks and marvelled at the massive amounts of chocolate set out for the event. 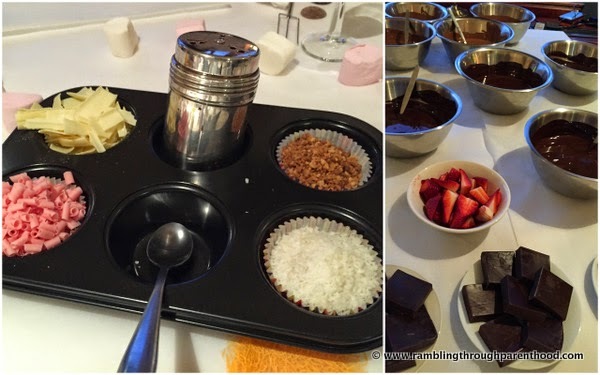 There were bowls of melted chocolate simmering in water baths, marshmallows and strawberries ready for dipping and giant blocks of truffle waiting to be cut and eaten. It was chocolate heaven! 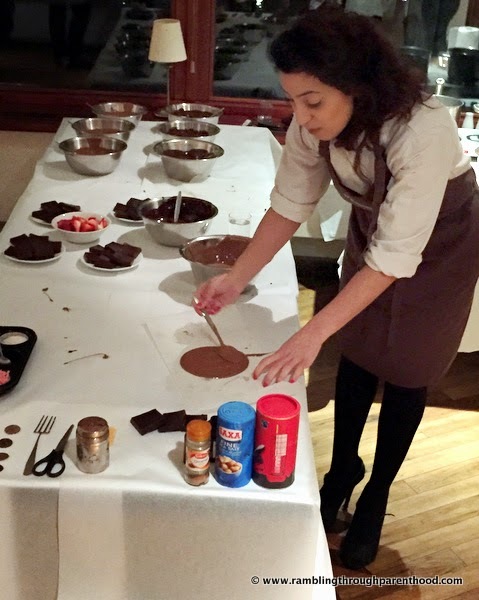 There was a lovely team of professionals on hand to take us novice chocolate makers through our paces. We started with a short history of chocolate, starting from the Aztecs through to the modern day. I got to taste roasted cocoa beans and 98% dark chocolate, both of which tasted surprisingly good. Did you know that good chocolate has a high content of cocoa butter, but cheap chocolate has more cocoa solids in vegetable fats? In the light of this information, the next bite of cheap chocolate I bit into tasted frankly awful. But the great milk and dark chocolate pieces that followed more than made up for it. It was now time to get really messy. We started by making giant chocolate buttons with milk and dark chocolate. We were given a demonstration and were asked to get creative. So instead of making one giant button I made two and shaped them to look like a bunny rabbit/cat as a little something for my son. I even tried a bit of feathering, albeit unsuccessfully, but was quite pleased with the overall look of my bunny/cat. Next, we got working in pairs with ganache. Using melted chocolate and single cream in a 2:1 ratio, we piped a bunch of truffle centres. There was a handy hint to use Baileys instead of cream, which I intend to incorporate in my next batch at home. Here is my partner in crime Pippa from Red Rose Mummy making our batch of ganache. While the centres cooled in the fridge, we cut out hearts and circles out of giant chunks of chocolate treacle slabs. I managed about five shapes before the rest got gobbled up. It was all about melted chocolate from here on. 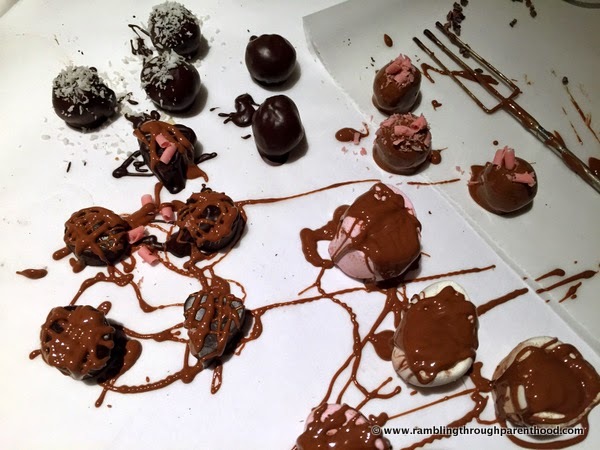 The truffle centres came back out to be rolled up in copious amounts of cocoa powder before being dunked in melted chocolate, forked out, decorated with strawberry sprinkles, sweetened coconut, crushed butterscotch and left to set. The treacle slabs got smothered in more melted chocolate, bits of truffle got squashed inside marshmallows and doused in chocolate to make marshmallow surprise. All this was hard, hungry work. So I got busy dipping the leftover marshmallows and strawberries in chocolate and eating it. 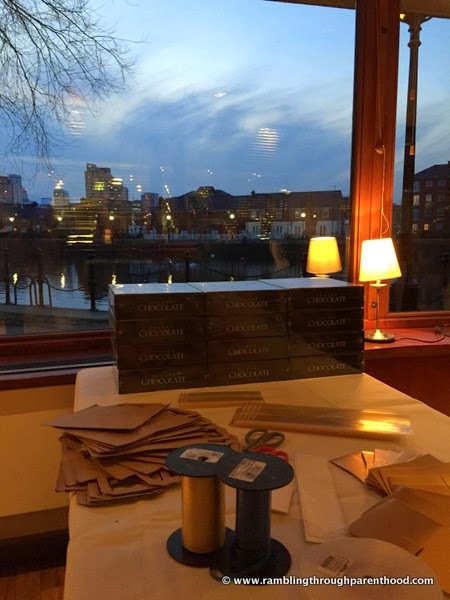 All that remained now was to pack all the lovely hand-crafted chocolate in boxes, sheets and bags and finish off with pretty curling ribbon. There you have it. 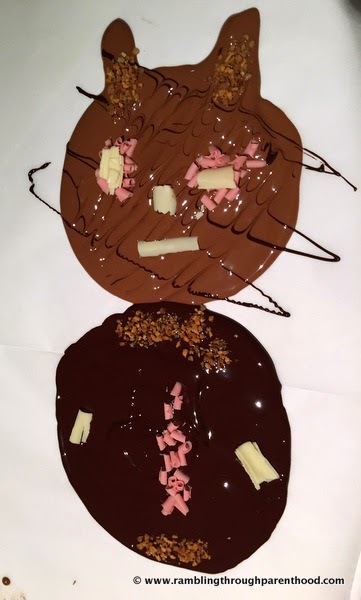 Thanks to The Copthorne, I made chocolate that tasted as divine as it looked. M and J will bear testimony as they helped me polish off the lot after I got home. 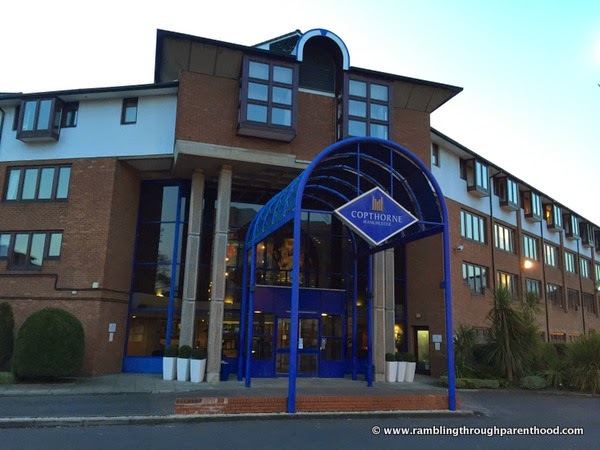 Disclaimer: I was invited to attend and blog about this event at the Copthorne Hotel. All opinions expressed are my own. Oh my goodness! This sounds like my idea of the perfect day!! This sounds absolutely brilliant. Would love to do this. Is it a regular thing or just for Easter? My daughter would love it too!! Wow I would absolutely LOVE to do something like this. It looks amazing and how professional do your final products look! Sounds like a great event - wish Cadbury's put on something similar. I have to say that this is just my sort of crafting - they look fab too the chocolates. oooohhh yumm I am a chocaholic so this would be a great day for me lol. What a amazing experience! Wow! How on earth did I miss out on this invite?! I've done this elsewhere before though, and it's great fun. Everyone should get the chance to enjoy it! 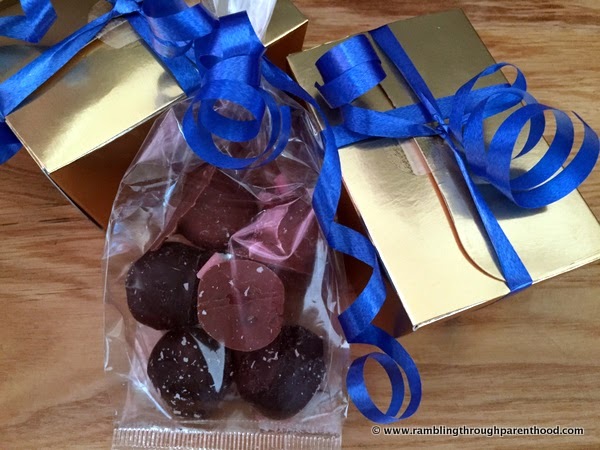 ooh fab I would love to go to a chocolate event! oh this sounds like a perfect evening in my book .. delicious! 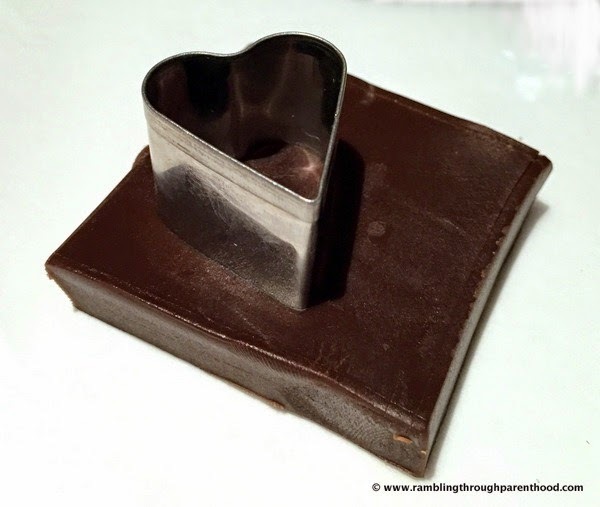 I love chocolate - what a lovely way to spend an evening. Now that is my idea of heaven! Looks fabulous! What a great location and what a fun thing to do...yum!! 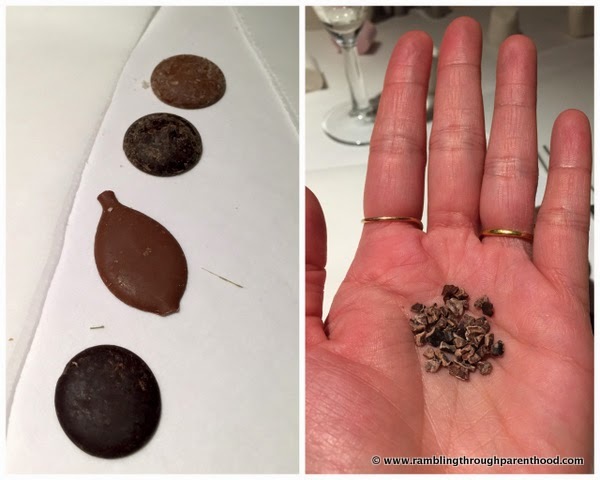 I would love to learn more about chocolate. It sounds like a wonderful event. Oooh the hotel looks fab, as does the chocolate! My Grandad was born in Salford! When I saw your bunny/ cat choccy button, I thought it looked like a cat before I read the text, so that makes it a great job!